so why not pick the best? the process easy on you. Learn more about our Bottled Water Program for your event. BRINGING IT BACK TO NEW FOR YOU! 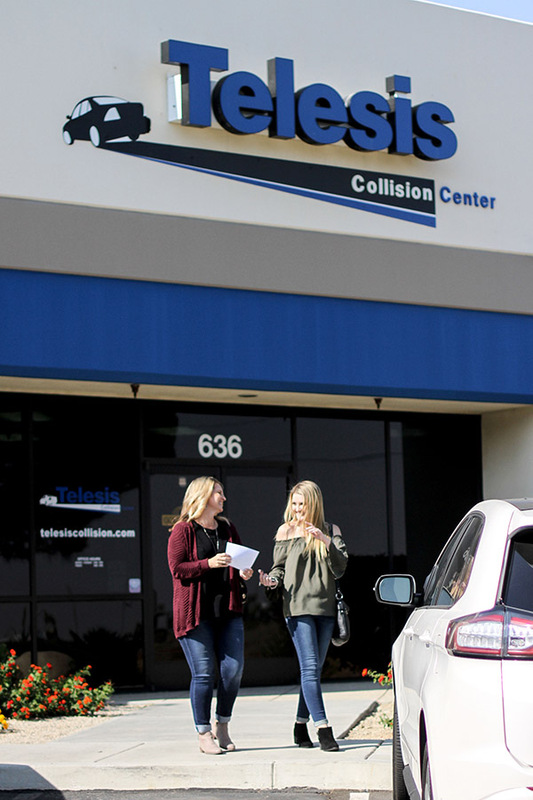 Telesis Collision Center is a premier auto body repair center serving satisfied customers throughout the Antelope Valley region of Palmdale, Lancaster and Acton since 1995. We provide certified auto body repair and auto paint services with top-notch customer care. 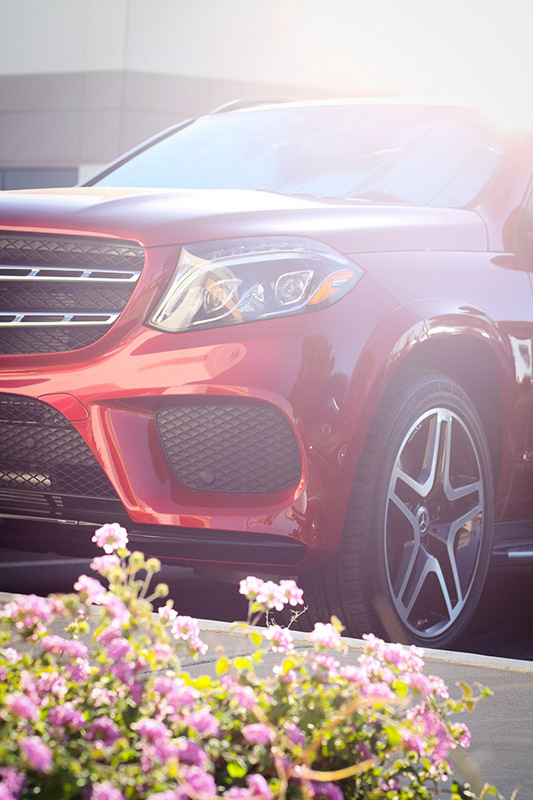 Protect the value of your auto investment and your safety. Choose the best. Choose Telesis Collision Center in Palmdale. 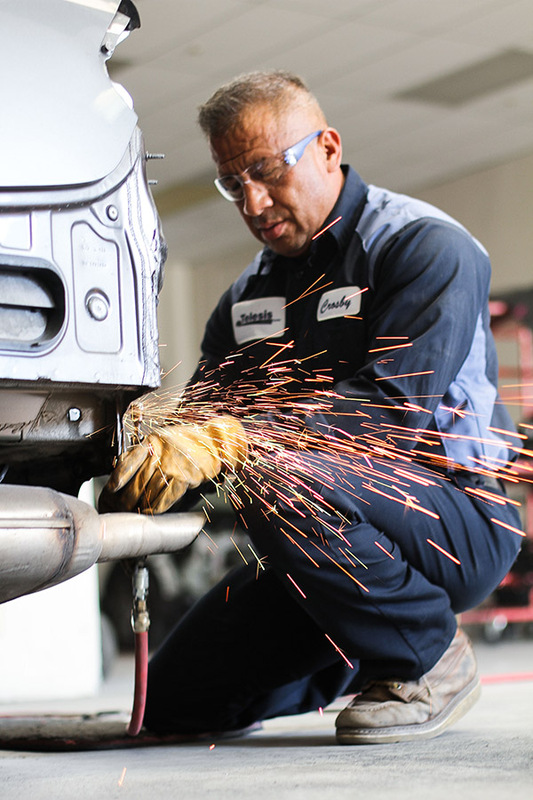 At Telesis Collision Center, we make sure our auto body repair processes and equipment meet the highest standards of health, safety and environmental protection. We always strive to improve the way we work and interact with our environment. Telesis takes extra steps every day to help ensure the protection of our employees and the environment by using water-based and fast-dry paints, equipping our employees with proper gear and equipment, recycling all excess materials, and more! We are deeply committed to supporting and giving back to our community. That’s why, at Telesis Collision Center, we have thoroughly done our research in order to provide the very best bottled water to our local sport teams and local charity fundraisers. 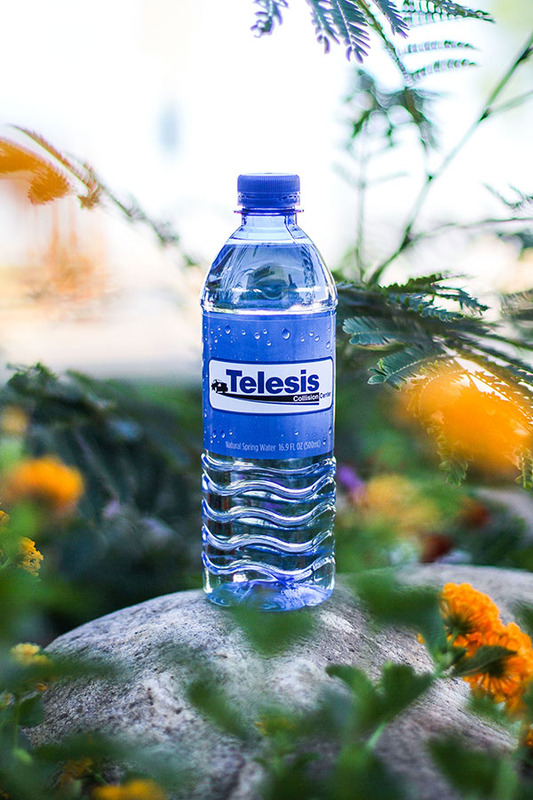 Whether you’re a coach of a local soccer team, or an organizer for a local charity fundraiser, please feel free to ask us for some cases of our Telesis Collision Center Natural Spring Water. We think you’ll agree that the absolute crisp and refreshing taste of our water is second to none. It gives us great pleasure to know that our young athletes will stay well hydrated in our desert sun and our charity events will be helped by having water to either sell to, or offer to, their event participants. Don’t drive under the influence or while you are distracted. Please make sure you and your passengers are wearing your seatbelts.